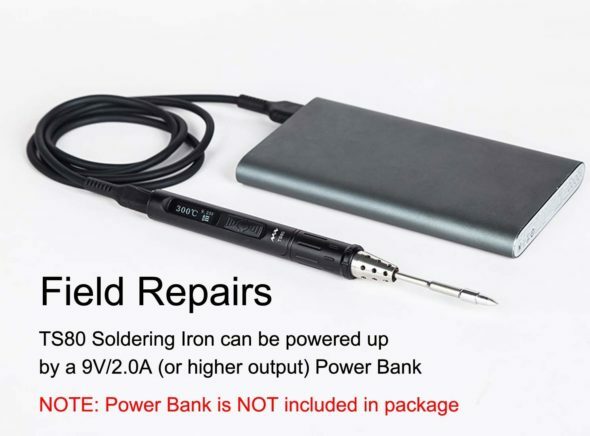 If you have ever needed a soldering iron while out in the field, away from wall power, you typically had to suffer with a subpar iron. For example, I used to carry the Weller P2KC which is a butane powered soldering iron. It is decent and has served me well. But I have found something better. 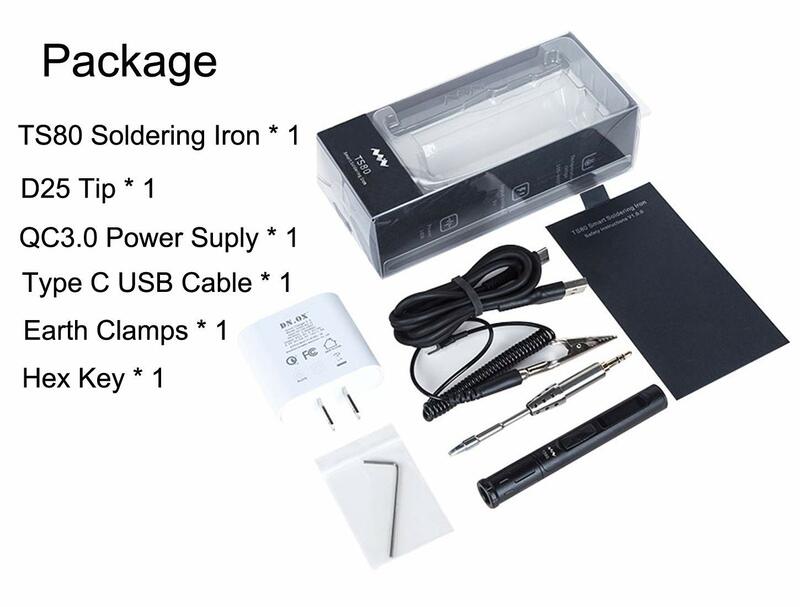 The UY CHAN TS80 USB C Portable Soldering Iron ($109) is my current favorite portable soldering iron. 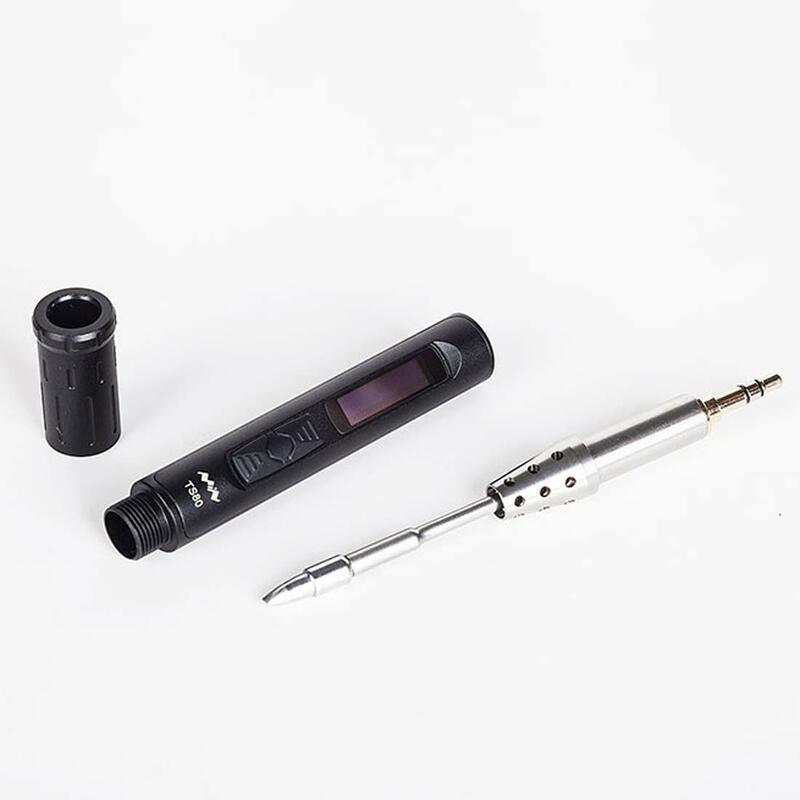 The TS80 soldering iron can be powered off of a battery bank that can do 9V/2.0A), a LIPO rc battery (with an ISDT BattGo BG-8S), or wall power. I use this thing powered off a USB battery bank even when in the house. It is just easier and I don’t have to grab an extension cord. The UY CHAN TS-80 is made of anodized aluminum, weighs just 35g, and has a removable tip. Go ahead and buy one, you won’t be disapointed. 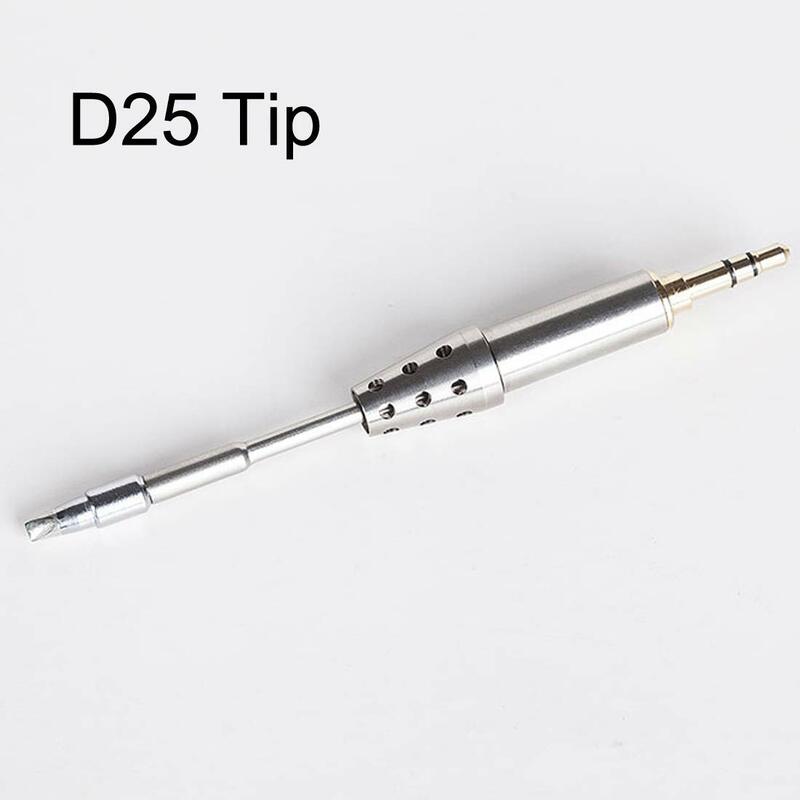 – Soldering tip resistance to ground: < 2?. – Temperature range: 100? – 400? (max). – Max operation ambient temperature: 40°C. 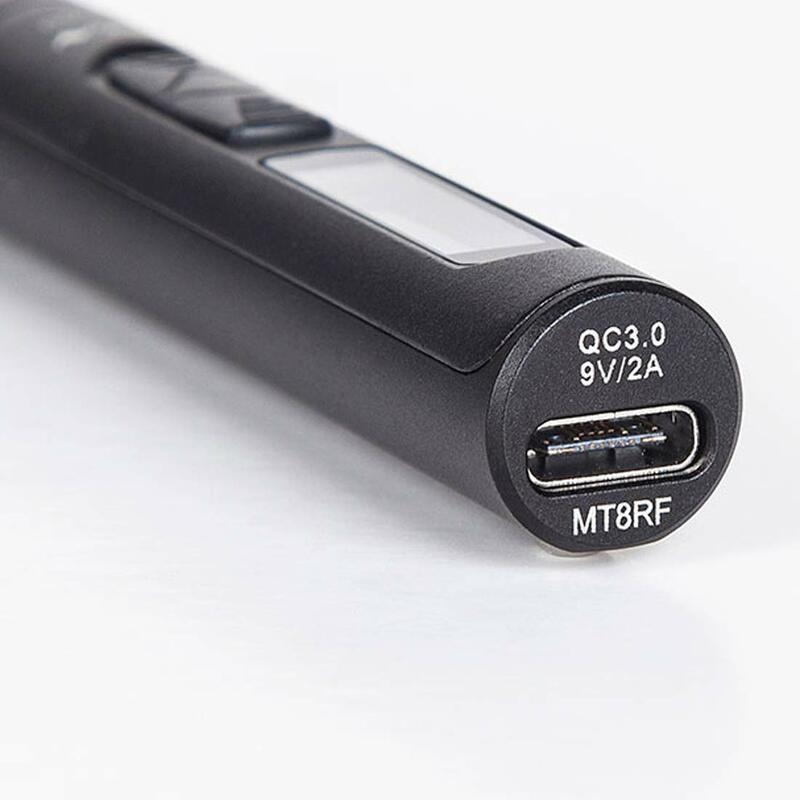 – Type C USB port. – Efficient to work with. – Control part: length: 96mm, diameter: 16.5mm. – Heating part: length: 72+33mm, diameter: 5.5mm. – Compliant with EU certification: CE FCC.